Section 498A of the Indian Penal Code was enacted in 1983 to protect abused wives. It makes it criminal for a husband and his relatives to subject a married woman to cruelty is which is likely to drive a woman to commit suicide or cause grave physical or mental injury to her, and harassment with a view to coercing her or any of her relatives to meet any unlawful demands of property. The law has allowed disgruntled wives (but not husbands) to use the powers of the Indian police, the Indian courts and other branches of government in India as a powerful and abusive weapon with which to intimidate, attack and blackmail their husbands and his parents and other family members even if they do not live in India. The misapplication of the statute results from a “perfect storm” of circumstances. They included the use of extremely vague statutory language to define “cruelty;” a separate law that prohibits the provision or acceptance of a dowry; a custom that has been difficult to eradicate of a bride giving a dowry upon marriage; a provision that the law that may only be used by married women against her husband and any of his allegedly-participating male or female relatives; a police force that is notoriously corrupt; a provision that the offense is “cognizable,” meaning that the police may make an immediate arrest of the husband and members of his family merely on the basis of a woman's unreviewed allegations in a complaint; a provision that the offense is “non-bailable” (meaning that once the police arrest a person they cannot release anyone on bail, so that the arrested person has to make an application for bail before a magistrate or court); a domestic relations procedure that is extremely cumbersome and in many ways unworkable; and a criminal system in India which is subject to extreme delays and corruption. The result has been that when a marriage breaks up the wife is often able to get her husband and many of his family members arrested or subject to arrest by simply filing a claim of cruelty and then persuading the local police to arrest the so-called wrongdoers. This is much more effective than initiating an ordinary case for divorce. In Sharma v. State of Uttar Pradesh, AIR 2017 SC 3869, the Supreme Court of India stated that, “It is a matter of serious concern that large number of cases continue to be filed under Section 498A alleging harassment of married women. We have already referred to some of the statistics from the Crime Records Bureau. This Court had earlier noticed the fact that most of such complaints are filed in the heat of the moment over trivial issues. Many of such complaints are not bona fide. At the time of filing of the complaint, implications and consequences are not visualized. At times such complaints lead to uncalled for harassment not only to the accused but also to the complainant. Uncalled for arrest may ruin the chances of settlement. This Court had earlier observed that a serious review of the provision was warranted.” The Court cited criticism of the misuse of the law by the Law Commission of India and other entities. 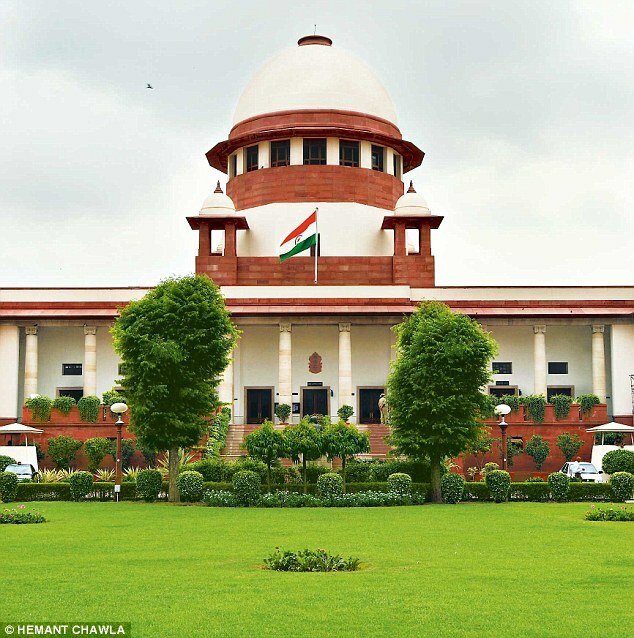 The Court also cited figures which showed that in 2012 197,762 people were arrested under Section 498A; one-quarter were woman, meaning that they primarily were mothers or sisters of the husband; that 93.6% of arrests resulted in charge-sheet filings; and that “the conviction rate was at a staggering low at 14.4% only.” In 2013 the conviction rate of such cases “was also a staggering low at 15.6%,” and that while 466,079 such cases were pending at the start of 2013, only 53,641 cases were concluded during the year. For these reasons, the Supreme Court issued a series of significant remedial steps that were intended to limit the abusive use of Section 498A. In particular, the guidelines precluded any arrest of a husband or his family members unless and until the charges have been independently reviewed and approved. 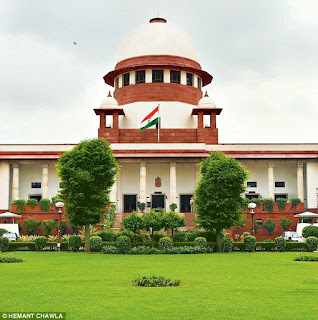 However, less than three months later, in the case of Nyayadhar v. Union of India, another bench of the Supreme Court, headed by the Chief Justice, stated that, “we are not in agreement with the decision rendered in Rajesh Sharma (supra) because we are disposed to think that it really curtails the rights of the women who are harassed under Section 498A of the Indian Penal Code. That apart, prima facie, we perceive that the guidelines may be in the legislative sphere.” The Court named certain senior counsel to serve as amici curiae to assist the Court in the resolution of the case, and further rulings in the case are expected. Unfortunately, the debate in India – which has now clearly divided the Supreme Court itself – has too often been formulated in black-and-white terms as a dispute between men and women. The issue should not be presented in all-or-nothing terms. Domestic violence is abusive and should be criminalized, but the crime should not protect only one gender, and the use of a criminal statute to abuse, harass and blackmail should not be permitted. The status quo is simply absurd. As an international family lawyer who represents both men and women of Indian origin, I have handled several matters in which wives of Indian origin living outside India have used the “498A” law to effectively bar their estranged husbands, also living outside India, from traveling to India to attempt to secure the return of their abducted children or to defend themselves against financial claims and custodial claims asserted in Indian matrimonial proceedings. In most such occasions, the wives had ample ability in the courts in the place of the matrimonial residence to obtain protection against domestic violence, to seek an order of custody over children, and to seek financial relief against the other spouses. However, the “498A” procedure is far more attractive because it is so easily available and can be so devastating in its impact. It is encouraging that the issue is being actively considered in India and it is to be hoped that a better balance can be reached. As it is, the abuse of the 498A process is justifiably a matter of grave concern for Indian husbands and husbands of Indian origin wherever they might be living, and for their families living in India.